Some exciting news from the Arts Council today! We are proud to announce that United Technologies Corporation will chair our 2013 United Arts Campaign, playing a lead role in ensuring the success of our community-wide fundraising drive to support the arts. 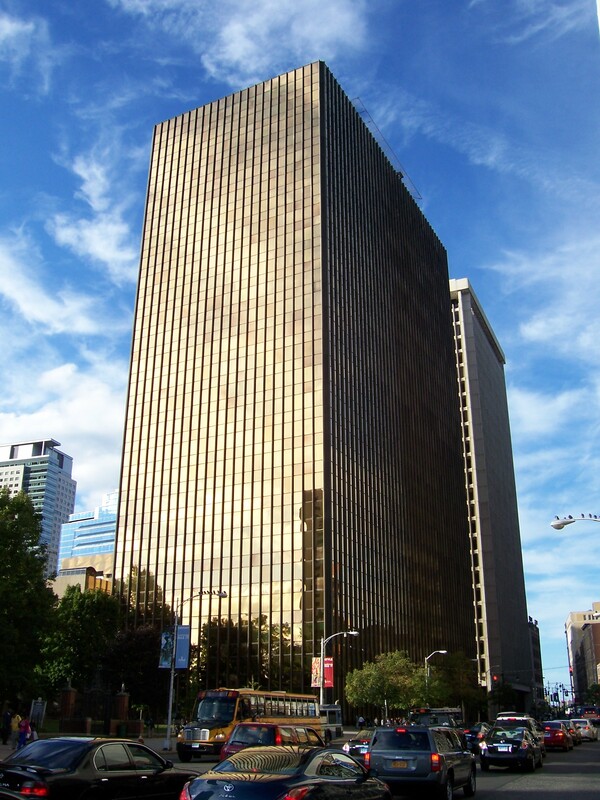 UTC’s iconic “Gold Building” headquarters in downtown Hartford. UTC has long been a supporter of the Arts Council–it was one of the first companies to run a workplace giving campaign in 1995–and the company has an exemplary history of employee engagement and investment in the local cultural community. Working with Arts Council leadership, Chênevert has assembled a Campaign Cabinet of community and corporate leaders to ensure the success of the 2013 campaign. Joining as campaign leaders from UTC are Charles D. Gill, Senior Vice President and General Counsel, and Matthew Bromberg, Vice President of Corporate Strategy and Development. For the entire month of March, UTC is hosting a company-wide workplace giving campaign in each business unit: Otis, Pratt & Whitney, Sikorsky, UTC Aerospace Systems, UTC Climate, Controls & Security, UTC Corporate Headquarters and the UTC Research Center. Last Friday, we officially kicked-off the workplace campaign with a hands-on, Jackson Pollock-inspired “Drip & Splat” paint activity at HQ. We’ll be posting photos, videos and stories from the UTC giving campaign throughout the month of March as employees take pART in our amazing arts, heritage and cultural community. Thank you to UTC for leading our 2013 United Arts Campaign!